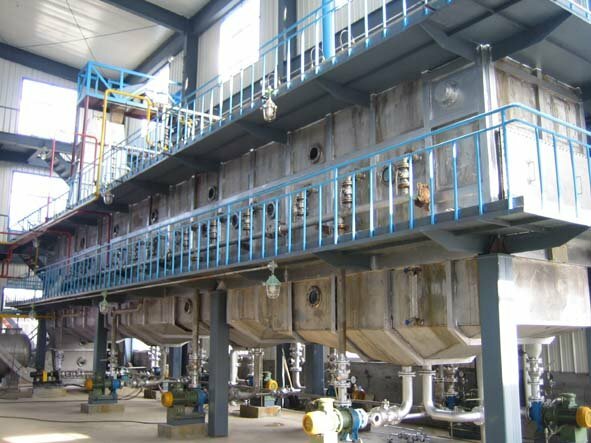 We enjoy a good reputationin all over the world as a manufacturer and supplier of solvent extraction plant. Made of high grade material, our manufactured machines deliver flawless performance, are easy to use, are durable and require negligible maintenance. Our edible oil expelling machinery is available at competitive prices, and is available in different capacities and specifications. 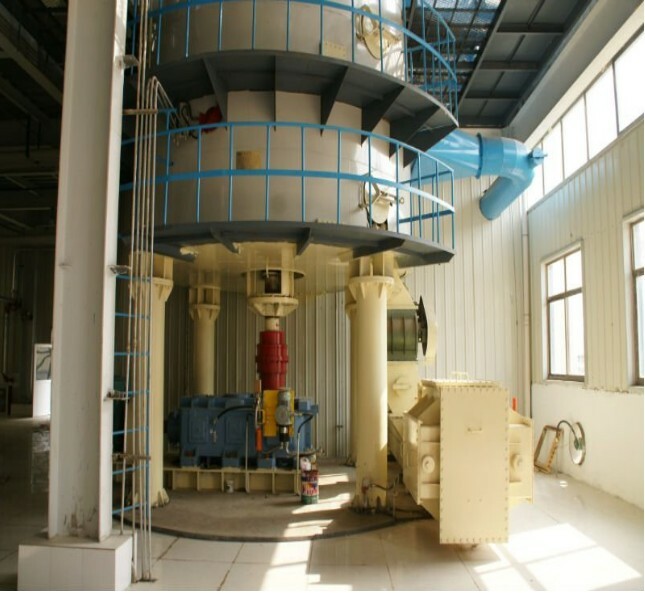 Solvent extraction plant is the most modern way of recovery of oil from oil bearing materials at very low temperature under vacuum to produce excellent quality of oil, compared to mechanical pressing which works under high temperatures and high pressure and causes oxidation of oil. Recent developments of the Expander system with the squeezomatic attachment invariably ensures even direct extraction of high oil content material like sunflower, rapeseed, Rice Bran, Soyabean producing the best quality of crude oil and completely eliminates the pre-pressing operations of old technology expellers. 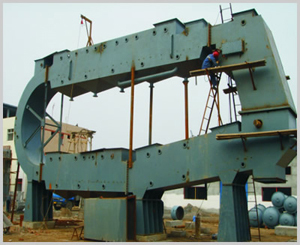 The prepared material from Preparatory section is received in the Feed Hopper through Rotary Valve/Plug Conveyor. The material in the hopper and the rotary valve/Plug Conveyor together constitute an effective vapour seal while the latter also serves to regulate the feed. The hopper is further provided with the special switches for high level and low level indications. The latter if energized stops the band conveyor of extractor while the high level indication, transmits an audio visual signal to Preparatory Section for preparatory operator to take corrective measures. The Extractor is long horizontal vessel, Rectangular in cross section in M.S. Construction. An articulated band conveyor inside the Extractor receives the material from Feed Hopper and transports it at a pre determined speed from the feed end to discharge end. 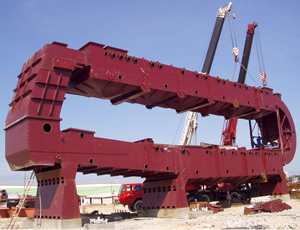 The band conveyor moves over rails suitably located inside the Extractor and rides on specially constructed sprockets at either end. The speed of the band conveyor is easily adjustable within desired limits. An adjustable damper enables the regulation of height of bed of material on band conveyor. A series of sprayers located above the band conveyor enable perfect spray of the solvent on the moving bed. Special spray breakers facilitate uniform distribution of solvent over the entire width of moving bed. 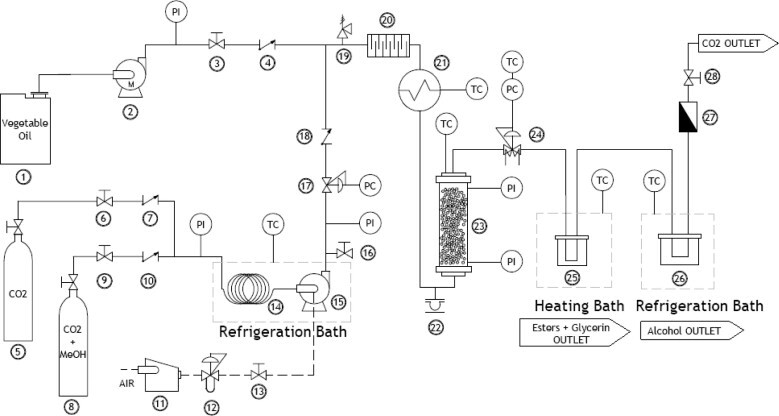 Each spraying section is followed by a draining section.Fresh solvent is admitted into the Extractor near the discharge end of the moving bed of material and the full miscella is recovered from the initial stage; thus ensuring the perfect counter current flow of material and the solvent. It is not merely a simple counter current flow. The miscella circulates in a closed circuit in each of the successive section by overflowing from each hopper of the Extractor after increasing gradually its oil content in each hopper. So in each section there is an equilibrium between the oil extracted from the seed in corresponding section and the difference in oil content of solvent overflowing the preceding hopper together with the solvent overflowing the following section. The cleaning of the band conveyors is accomplished by high pressure jet spray of fresh solvent onto the return of band conveyor at discharge end which ensures perfect cleaning of mesh and eliminates completely the possibilities of choking of mesh and channeling. If you are in need of our Solvent Extraction Plant or you want to set up an edible oil pressing company, please don't hesitate to write to us from the following form, we are always at your service!